Victoria Coun. Sarah Potts put together a motion with three other councillors to urge the province to move forward on supervised inhalation sites, where users can smoke illicit drugs while being observed in case they overdose. Victoria city council wants the province to expand access to supervised inhalation sites as a way to combat the ongoing overdose crisis. Coun. Sarah Potts put together a motion with three other councillors to urge the province to move forward on supervised inhalation sites where drug users can smoke illicit drugs — meth for instance, or opioids which may be contaminated with fentanyl — while being observed in case they overdose. The motion passed Thursday morning. "We most often think of overdoses ... attached to intravenous drug use, but right now this is the next frontier," Potts said. "We have the tools, we have the knowledge, we have the science and the social science backing to understand that this is what we need to do." She added that smoking is the most common way men and "younger and more vulnerable users" aged 15 to 29 consume drugs. It's also the second-most common mode of consumption among those who have died of a suspected overdose. It is estimated that an average of four people die every day in B.C. from suspected overdoses. On Thursday, B.C. 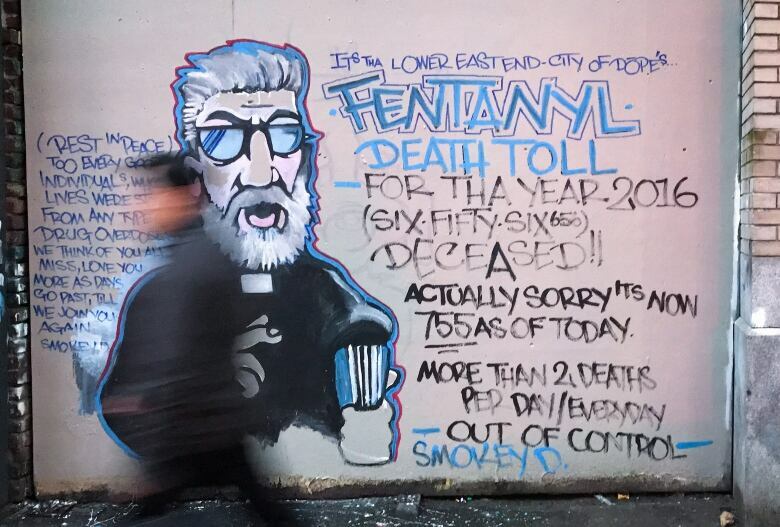 's chief coroner reported that fentanyl was implicated in 86 per cent overdose deaths in B.C. Potts said building a supervised inhalation site is expensive because, if indoors, they need to have powerful ventilation systems. 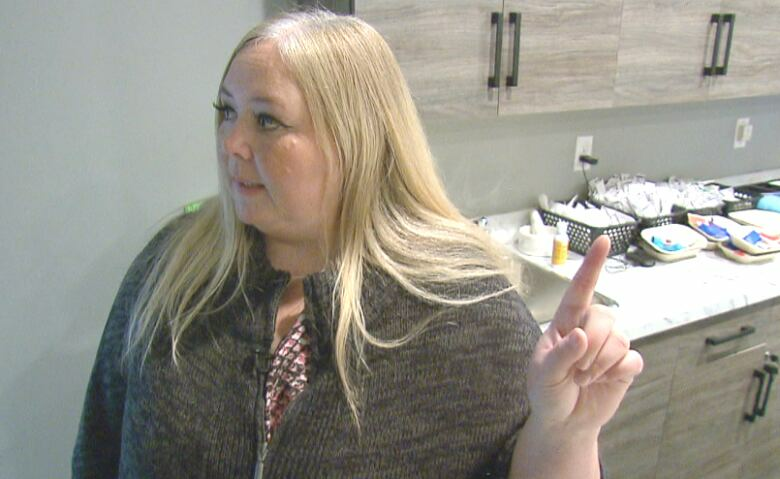 A safe inhalation site was opened last year in Lethbridge, Alta, and an outdoor one has been run by Vancouver's Overdose Prevention Society on the Downtown Eastside since April 2017. Sarah Blyth runs the Vancouver site and says there is massive demand for the tent — it has had over 100,000 visitors since it opened. 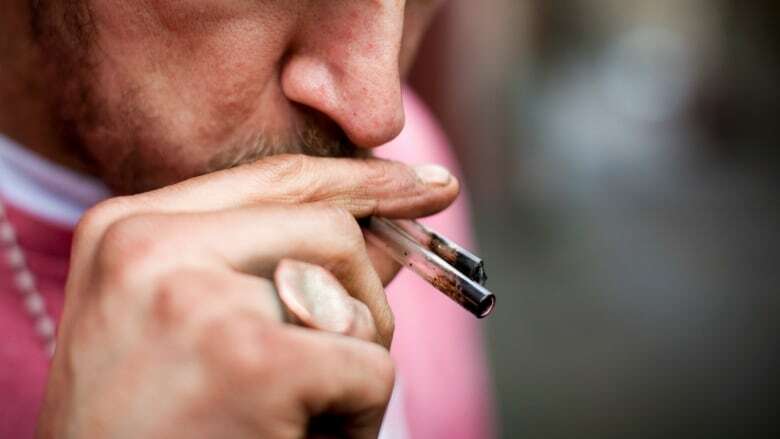 "People who smoke also overdose and when they overdose it's very quick," Blyth said. "You need to help people right away." She said it's better from a health perspective to keep drug smokers smoking and not progressing into injecting. "Once people are injecting, their level of tolerance to the drug ... goes up quite a bit. You don't really want to be encouraging that." The focus of the City of Victoria motion isn't calling for a site in Victoria in particular. It calls, instead, for more of them across the province. A spokesperson for B.C. 's Ministry of Mental Health and Addictions said the province is providing funding to the Overdose Prevention Society's work as a pilot program. "We are looking forward to the findings generated by that pilot," the spokesperson wrote in an email. "We know that inhaling toxic unregulated drugs presents a high risk for overdose including from non-opioid stimulant drugs." The City of Vancouver has also called on the province to expand supervised inhalation services. Potts' motion moves the issue forward to the Association of Vancouver Island and Coastal Communities. That body will vote on whether to send the recommendation to the Union of B.C. Municipalities for its 2019 general meeting agenda.